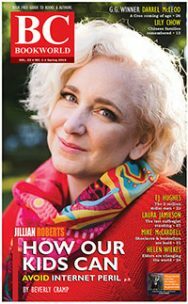 Douglas Coupland‘s breakthrough novel, Generation X: Tales for an Accelerated Culture, had its origins in Vancouver magazine, edited by Malcolm Parry. After Coupland had a solo sculpture show at the Vancouver Art Gallery in 1987, called Floating World, he began describing his own ‘twentysomething’ generation at the behest of Parry. Having written a few Budget Gourmet reviews for the Vancouver Sun, Coupland later worked for Western Living magazine as a staff writer before a stint with soon-to-be-defunct Vista magazine. At Vista, Coupland revisited the realm of his Vancouver magazine articles on Gen-X as a comic strip. Coupland was subsequently contracted to write a non-fiction ‘handbook’ on Generation X. Eventually Coupland went to Palm Springs and completed Generation X, the novel. Generation X was rejected by 15 Canadian publishers and 14 American publishers before it appeared in March of 1991. It’s a slam dunk to include Douglas Coupland’s famous “magazine-style” first novel Generation X (1991) when citing the foremost titles by B.C. authors, so much so that one can easily overlook its important subtitle. Just as George Orwell’s Animal Farm was first released as Animal Farm: A Fairy Story, Coupland’s round-the-world-in-multiple-translations debut has a seldom-mentioned subtitle, Tales for an Accelerated Culture, which indicates Coupland operates as a social commentator as much as a novelist. Coupland’s increasingly poignant, barometer-like readings of popular culture bristle with a reluctant wit. Born in 1961 on a Canadian Armed Forces Base for NATO in Germany, Coupland attended Sentinel High School in West Vancouver where he had a non-religious upbringing. His adjunct career as a sculptor led him to attend the Emily Carr College of Art and Design in Vancouver, the Hokkaido College of Art and Design in Sapporo and the Istituto Europeo di Design in Milan. In 1987, he began describing his own “twentysomething” generation for Vancouver magazine, edited by Malcolm Parry. 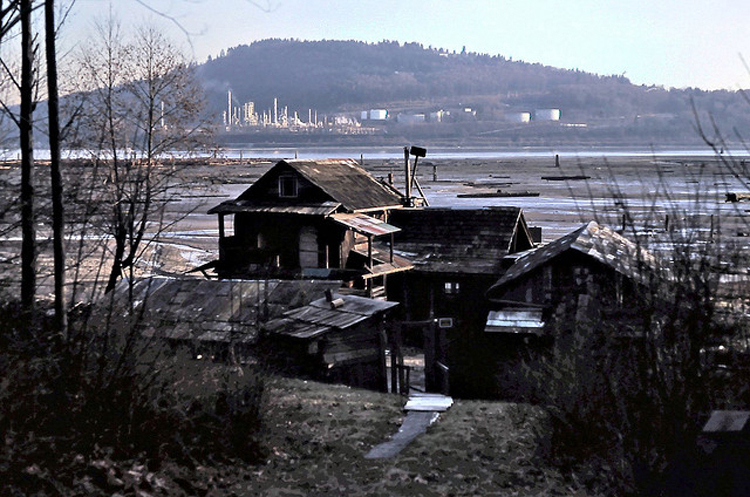 During a stint with Vista magazine, he revised his Vancouver article on Gen-X as a comic strip. He was subsequently contracted to write a non-fiction handbook on Generation X. Coupland went to Palm Springs and completed his “edgy, funny and hip” story of three young refugees from the world of yuppie wannabe-ism who are under-employed, over-educated and intensely private. The manuscript was rejected by 15 Canadian publishers and 14 American publishers before it appeared in 1991. 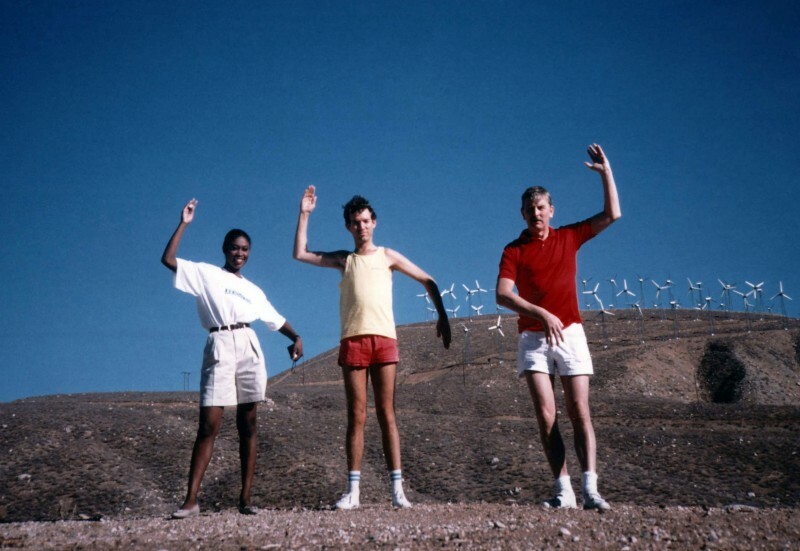 Douglas Coupland (centre) imitating wind machines just a few miles northwest of Palm Springs in 1988 with Vista editor Mac Parry (right) and their Vista magazine co-worker Veronica Anderson-Clarke, during the period when Generation X was conceived. Since then Coupland has been increasingly concerned with characterization in his novels, while also working as a designer and visual artist. Recent novels have dealt with faith, or acknowledgement of God, or lack thereof, amid the diversions of a consumer culture and technology. Hey Nostradamus! (2003) explores the aftermath of a fictional shooting spree in North Vancouver’s Delbrook High School cafeteria. Microserfs (1995) used the corporate backdrop of Microsoft headquarters in Seattle to depict the high-tech and somewhat geeky lives of employees “who realize they don’t have lives.” Some plots can be far-fetched. In Girlfriend in a Coma (1998), a high school senior named Karen Ann McNeil descends into a coma after a skiing accident—and gives birth to a child nine months later. She remains comatose for 18 years. Set in the near future when honeybees are almost extinct, Generation A (2009) starts when five people around the world are stung simultaneously. Coupland has produced eight non-fiction titles, including appreciations of Terry Fox, the city of Vancouver and Marshall McLuhan. In 2010, he began his own clothing label with Roots. In 2012, the developer proposing the large redevelopment at Oakridge complex in Vancouver submitted a plan that included Coupland as a design consultant to “re-think the library for the 21st century.” The proposal contains text from Coupland’s website describing him as “as possibly the most gifted exegete of North American mass culture writing today” and “one of the great satirists of consumerism.” For information on his first major one-show that surveys his career as a non-literary artist, at the Vancouver Art Gallery in 2014, see VAG press release below. Douglas Coupland is the second, major literary artist to have a major, one-person show at VAG, following bill bissett. The third of four sons, Douglas Coupland was born on December 30, 1961 on a Canadian Armed Forces Base for NATO at Baden-Solingen, Germany. His father was putting himself through medical school by flying jets. After his father suffered an Achilles tendon injury while skiing, the family relocated to Vancouver where Coupland attended Sentinel High School in West Vancouver. Raised without religion, he attended the Emily Carr College of Art and Design in Vancouver, the Hokkaido College of Art and Design in Sapporo and Milan’s Istituto Europeo de Design. In 1987 he had a solo sculpture show at the Vancouver Art Gallery called Floating World. That year he also first began describing his own ‘twentysomething’ generation for Vancouver magazine, an urban lifestyles magazine edited by Malcolm Parry. During his twenties, Coupland also took a two-year course in Japanese business science at the Japan/America Institute of Management Science in Honolulu, Hawaii. 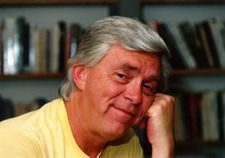 Having written a few Budget Gourmet reviews for the Vancouver Sun, he worked for Western Living magazine as a staff writer before his stint with glossy and soon-to-be-defunct Vista magazine. At Vista he revisited the realm of his Vancouver magazine article on Gen-X as a comic strip. Coupland was subsequently contracted to write a non-fiction ‘handbook’ on Generation X. Coupland went to Palm Springs and completed a novel called Generation X: Tales for an Accelerated Culture. It was rejected by 15 Canadian publishers and 14 American publishers before it appeared in March of 1991. “We are all born lost, aren’t we?” says a high school character named Jason in Coupland’s chilling Hey Nostradamus!, a novel about the aftermath of a fictional shooting spree in North Vancouver’s (now defunct) Delbrook High School cafeteria. “We’re all born separated from God–over and over life makes sure to inform us of this–and yet we’re all real; we have names, we have lives. We mean something. 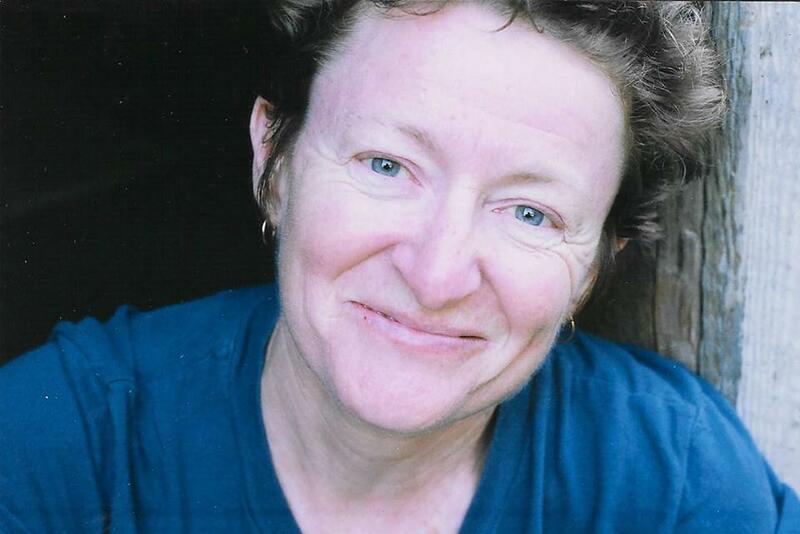 We must.” The novel earned the Commonwealth Writers’ Prize and won the Canadian Authors’ Association Award for Fiction. Coupland returned to Vancouver to accept the Canadian Authors Association award for Hey Nostradamus! at their convention at UBC in June of 2004. He had been in Toronto preparing for the opening of his his art and sculpture installation ‘Canada House’ at the Toronto’s Design Exchange. In his follow-up novel called Eleanor Rigby (Random House), Coupland has a plump and plain Vancouver heroine form an intimate relationship with a younger man in makeup and fishnet stockings. In October of 2004 Douglas Coupland’s one-man play, September Ten, had its premiere at the Royal Shakespeare Society in Stratford-upon-Avon. Coupland lives in West Vancouver from where he continues his parallel career as an installation artist and photographer who enjoys being Canadian. This work has led to several non-fiction titles. Brilliant at recognizing and deciphering manners and trends, Coupland has turned a nostalgic eye on Canada, one of the world’s most enduring democracies, for Souvenir of Canada (2002) and Souvenir of Canada 2 (2004), two photographic troves of collective memories. Funny and serious, Coupland’s own brand of Sociology Lite touches upon subjects that include the dearly-departed stubby beer bottle, Newfoundland, the Maple Leaf, poutine, water, piss (“There are few, if any, Canadian men who never spelled their name in a snowbank.”), hockey, England, Ookpiks, the CN Tower, a Banque Royal calendar, a Royal Conservatory of Music piano lesson book, treeplanting, Sudbury, the GST, the Bluenose, Canola and Nanaimo bars etc. Coupland presents Terry Fox’s holey sock as if it’s the Shroud of Turin and takes a rare stab at addressing politics with a quickie memoir and analysis of the FLQ crisis of 1970 in which he predicts Quebec is destined to repeat itself. To mark the 25th anniversary of the beginning of Terry Fox’s failed–but hugely successful–Marathon of Hope run across Canada, Coupland edited Terry (2005) as a fundraising endeavour for the Terry Fox Foundation. In 2007, Douglas Coupland accepted a honorary doctorate from Simon Fraser University where his sculptural installation, Fifty Books I Have Read More Than Once, was exhibited in September of that year as “an architectonic model of one artist/writer’s mind and soul.” Representations of book covers–arranged chronologically in terms of when Coupland was influence by them–were glued onto wooden blocks, varying in height, in relation to how important each book has been in Coupland’s life. In the tradition of Kurt Vonnegut and J.G. Ballard, Coupland explores the modern crises of time, human identity, society, religion and the afterlife. Readers will leave the story with no doubt that we are in a new phase of existence as a species–and that there is no turning back. Lara’s Book (1998). With Kip Ward. Souvenir of Canada 2 (Douglas & McIntyre, 2004) Review in BCBW. About a year ago Doug Coupland called his mother on a Tuesday morning and said, “Mom, I’m going to be there in a half-hour with a photographer to document your kitchen. Don’t touch anything.” His Mom shrugged and thought to herself, “Well, he does manage to feed himself by doing all this crazy stuff,” and left the kitchen unsullied. As a result, Doug’s Mom’s pantry has been recorded for posterity in Souvenir of Canada 2 (Douglas & McIntyre $29.95), his second album of commentaries and photos that extol the pleasing distinctiveness of Canadian life. Coupland’s albums of Canadian life are art exhibits on paper with minimal pretence. Jeff Wall mates with a Massey-Ferguson tractor and everyone benefits. Even if it sometimes borders on piffle, it sure as heck beats those dopey Why I Hate Canadians books or attempts at humour on Air Farce. Each page is like some Lay’s potato chip ad gone artsy. Betcha can’t eat just one. It’s all strangely moving. We are not Americans. We are not Americans. Great God Almighty, we are not Americans. Douglas & McIntyre is proud to announce the forthcoming publication of Terry by Douglas Coupland ($28.95, ISBN 1-55365-113-8), to be published on April 12th 2005. On that day, 25 years ago, Terry Fox began his Marathon of Hope run in St. John’s, Newfoundland. For 143 days Terry ran the equivalent of a marathon (42 kilometers / 26 miles) every day. His strength and determination turned an otherwise ordinary teenager into a national hero and launched an ongoing campaign that has raised more than $360 million dollars for cancer research. In honour of that achievement, Coupland is donating all royalties from the book to the Terry Fox Foundation (TFF) to support cancer research. Similarly, Douglas & McIntyre will also contribute proceeds from the book to the TFF. Written with the full support of the Fox family, the design reflects the style of Douglas Coupland’s Souvenir of Canada projects, mixing more than 145 superb photographs (including many images and objects from a collection of previously unpublished family memorabilia) with an emotional text about Terry’s life and the Marathon of Hope. Printed in full colour throughout, the book honours a profound moment in Canadian history, and the young man who inspired it. Life After God (Distican $20) Review. jPod (Random House $34.95) Review. If jPod strikes Coupland aficionados as suspiciously like the stewpot for Microserfs, Coupland’s novel about employees at the Microsoft headquarters in Seattle, well, hey, give the guy a break. That was, like, ten years ago. Three years later Coupland wrote Girlfriend in a Coma, in which characters were working together on Vancouver-based TV shows like The X-Files and Millennium. Perhaps jPod ought to be considered as the third work in a trilogy. Somehow we are making a leap from episodic television to episodic fiction, minus the laugh track. Some of Coupland’s characters discuss how the author of Generation X, Douglas Coupland, really ought to sue the pants off of Aaron Spelling for making the characters on Melrose Place, a TV show, so similar to the characters in Coupland’s breakthrough novel Generation X. Dozens of pages are filled with sequences of numbers or lists that nobody is going to read unless they are demented. This is either audaciously mind-bending or downright irritating. In terms of pacing, maybe these are the equivalents of commercial intermissions. Amid the squibs of enlarged lettering for urgent poetry (“I smash your bones on rocks of ice churned by spews of cola.”) and info-breaks, we are treated to the following paragraph, in smaller type, for the entirety of page 142: Subway Restaurants is the world’s largest submarine sandwich franchise, with more than 24,000 locations in 83 countries. In 2002, the Subway chain surpassed McDonald’s in the number of restaurants open in the United States and Canada. Headquartered in Milford, Conn., Subway Restaurants was co-founded by Fred DeLuca and Dr. Peter Buck in 1965. That partnership marked the beginning of a remarkable journey—one that made it possible for thousands of individuals to build and succeed in their own business. Subway Restaurants was named the number one franchise opportunity in all categories by Entrepreneur magazine—for the 13th time in 17 years! For more information about Subway restaurant chain, visit http://www.subway.com/. Subway is a registered trademark of Doctor’s Associates Inc. (DAI). Go figure. “Sleep is overrated,” says closet math whiz Bree, “Everyone thinks that just because you have a nap, your life is fixed.” Anyone in this novel could have said that line, or about half the characters on TV, but even when Coupland is not at the top of his game, when it seems like he’s dashing something off, or replicating himself, he is taking risks and generating something original. After Ethan retrieves his mother, who has disappeared to explore her femininity with lesbians during Uterus Week on the Sunshine Coast, Coupland inserts himself as a calculating capitalist who wants to hire the jPodders for his get-rich-quick scheme. The final page reads: Play again? Y/N. An Extraordinary Canadians: Marshall McLuhan (Viking $26),novelist-turned-psychopathologist Douglas Coupland gives us two great thinkers at once—a father-son act of Canadian minding-bending—with his original appreciation of Canada’s most enigmatic intellectual, Marshall McLuhan, citing McLuhan’s autistic leanings as a possible source for his creativity. 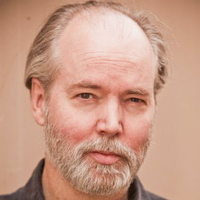 Coupland, author of Generation X: Tales for an Accelerated Culture, also traces the evolution of McLuhan’s growth as a “cantankerous conservative,” including his conversion to Catholicism, his indebtedness to University of Toronto academic Harold Innis, his dislike for the Biblical scholar Northrop Frye and his fascinations with Ezra Pound and Dagwood Bumstead cartoons. Still best-known for “the medium is the message,” McLuhan is given his due as an artist, rather than as a philosopher or futurist. In doing so, Coupland speculates that future biographers might examine brain chemistry as much as environment and history. Douglas Coupland: everywhere is anywhere is anything is everything is the first major survey exhibition of the artist’s work and will be presented at the Vancouver Art Gallery from May 31 — September 1, 2014. Douglas Coupland is an artist based in Vancouver whose remarkably prolific production across a diverse range of media over the past 12 years addresses the singularity of Canadian culture, the power of language, as well as the ever-pervasive presence of technology in everyday life. The title of the exhibition, everywhere is anywhere is anything is everything, refers both to Coupland’s deep engagement with place and cultural identity and, simultaneously, his recognition of a growing ubiquity as access to information, images and technology becomes more readily available to the masses. Douglas Coupland was born in 1961 at the Royal Canadian Airforce base in Baden-Söllingen, West Germany and in 1965 moved with his family to West Vancouver, British Columbia. Coupland studied at the Emily Carr Institute of Art and Design (now University), graduating in 1984 and continued his studies at the Hokkaido College of Art and Design in Japan as well as the Sapporo Instituto Europeo di Design, Milan. As well as being a visual artist, Coupland is an internationally renowned writer and designer — in 1991 he published his first novel, Generation X: Tales for an Accelerated Culture which eventually became an international bestseller. He has since published 13 novels (with a 14th to be released in the fall of 2013), as well as several works of non-fiction. 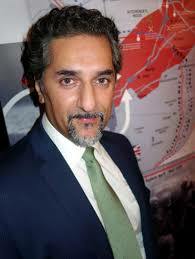 Since his active return to art-making in 2000, he has exhibited in solo exhibitions at DX Design Exchange, Toronto (2004); Canadian High Commission, London (2004); Canadian Centre for Architecture, Montreal (2005); and Simon Fraser University Gallery, Burnaby (2007.) His work has also been included in numerous group exhibitions including those at JFK Terminal 5, New York (2004); Plug-In ICA, Winnipeg (2008); Cambridge Galleries (2008); Center for Contemporay Arts, Prague (2008); Dunlop Art Gallery, Regina travelling to Mount St. Vincent Art Gallery, Halifax and MacLaren Art Centre, Barrie (2008-2009); Vancouver Art Gallery (2010-11); and Mass MoCA, North Adams (2012.) The upcoming solo presentation of Coupland’s work at the Vancouver Art Gallery will be his first major survey exhibition. Whereas you’d normally cheer for the underdog in a comic novel, in Douglas Coupland’s new novel you’re hoping he will be run over by a garbage truck. Douglas Coupland has kept his finger on the prostate of pop culture ever since his 1991 debut, Generation X: Tales for an Accelerated Culture, inspired critics to dub him “spokesman” for a generation that spent the social revolution of the Sixties in diapers and came of age to the polarized sound-tracks of disco and punk rock. Coupland’s subsequent literary output has been a predictably post-modern mixed bag, from the introspection of Waiting for God, a collection of John Cheever-ish tales of spiritual yearning in the desert of materialist suburbia, to novels like Microserfs, set among computer coders—the invisible Morlocks who slave in the digital mines to enable and maintain the electronic world most of us now interact with more frequently than the “real” one. The oddly titled Worst. Person. Ever. (pronounced with teenage neo-Valley Girl emphasis on each word) may not make it into the canon of early 21st century English Lit, but it’s a whooping, high-speed joyride through the post-millennial Blandscape. The main characters are British because—as anyone who ever watched BBC comedy series on public television knows—their absurd sensitivity to outdated social class distinctions and obsolete imperialist cultural arrogance makes Brits more fun to take the piss out of than any other people on the planet. Coupland’s literary models for Worst. Person. Ever. are modern British humorists, Evelyn Waugh, P. G. Wodehouse, Kingsley Amis, J.P. Donleavy and the under-rated Leslie Thomas; writers who made irony an occasion for laughter instead of classical tears. He pays lip service to the central convention of the British comic novel—the well-meaning innocent who suffers a picaresque series of misadventures at the hands of sinister representatives of the status quo—but gives it a typically post-modern twist. Our hero, Raymond Gunt believes himself to be “a reasonable enough citizen. You know; live life in moderation, enjoy the occasional YouTube clip of frolicking otters and kittens, perhaps over tip a waitress who makes the effort to tart herself up a bit, or maybe just make the effort to try to be nice to the poor…”, yet with every sentence of his tale of woe, Raymond reveals himself to be the kind of chap some of his fellow Londoners would describe with a multi-expletive phrase ending in a word that rhymes with his last name. An underemployed film and TV cameraman, Raymond is reduced to begging work from his estranged wife, Fiona, who launched her wildly successful casting agency at his suggestion and lives to pack salt into his gaping psychic wounds. Having to be grateful for the latest bone she tosses him, an assignment to be on the camera crew of an episode of the unkillable TV series Survivor, being shot on an infinitesimal speck in the Pacific Ocean whose name is almost longer than its shoreline (The Republic of Kiribati), puts him in such a funk that he snottily baits a homeless man who accosts him after the conjugal interview. Raymond is promptly beaten down and forced to lick the filthy sidewalk. When he has to hire a personal assistant and realizes he has no friends, he seeks out the homeless philosopher Neal, who owes much to Nick Nolte’s role as the brilliant, irreverent vagrant-by-choice in the film Down and Out in Beverly Hills. Accidentally seated next to an enormously obese man on the first leg of his flight into his personal heart of darkness, Raymond’s sly, sneaky nastiness eventually results in the man’s death on the plane. On landing, he discovers the man was the producer of the show on which he is to work. This pretty much sets the tone for everything that follows. The difference is that when you’d normally cheer for the underdog in a comic novel, in Worst. Person. Ever. you’re hoping the underdog will be run over by a Garbage Truck. Very. Soon. Having created a character who is a self-centered, supercilious arse-boil, Coupland sets out to save him and his equally odious other half, Fiona, who has hidden the fact that Raymond fathered two beautiful children, raised in the electronically innocent isolation of the Outer Hebrides. As successive catastrophes overwhelm the Survivor Kiribati set and crew, Raymond and Fiona are transformed into an unlikely Adam and Eve; flawed parents united by their determination to raise children better than themselves. In its way, Worst. Person. Ever. is a perverse paean to the “family values” so cynically referenced by current political demagogues. It is a kind of fable, a post-modern parable which suffers from all the outrageous gaps of logic and continuity such tales are heir to, yet touches on a fundamental human truth. Coupland’s alter-ego, the visual artist, is the eminence gris that links his sometimes superficially disparate literary works. No writer since Oscar Wilde has so clearly understood that it is the visible surfaces of things that reveal the truth, not some academic safari into presumed intellectual depths. It’s no accident that Raymond and Fiona are both agents of the industry that manufactures the pixel-deep images that have become the archetypes of our virtual culture, or that they become involved with the television series Survivor, in which contestants attempt to “outwit, outplay and outlast” each other in primitive environments for monetary and celebrity rewards. After more than a decade, the blatantly contrived faux-reality program is still produced in the U.S. and clones are made under franchise in more than fifty countries world wide. Pull out your ear-buds and listen. That sound you hear is the ghosts of Darwin and Wilde, laughing their asses off. The first major survey exhibition of Douglas Coupland’s work as prolific designer and visual artist, everywhere is anywhere is anything is everything, will be presented at the Vancouver Art Gallery from May 31-September 1, 2014. John Moore writes from Garibaldi Highlands.